There are some hairstyles which come and go out of fashion every few years. 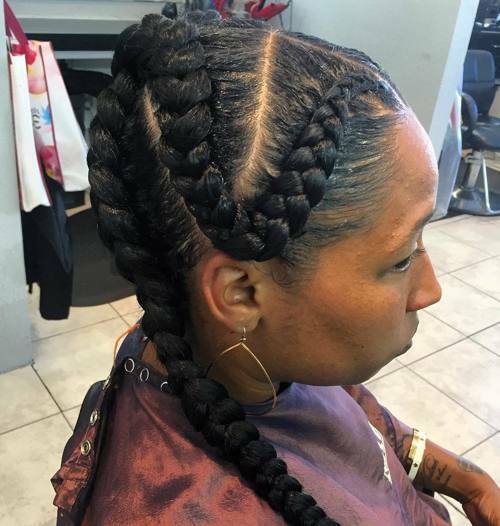 Braided styles for black women, however, have been considered beautiful for thousands of years and today they are more on trend than ever. 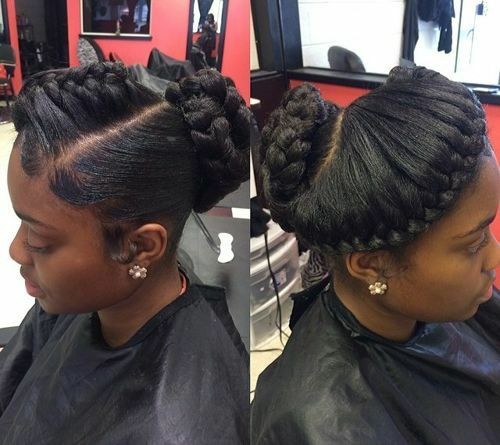 Goddess braids are perhaps the most stunning example of hair braids; after all, the name says it all. If you’re not quite sure what goddess braids are, don’t worry. 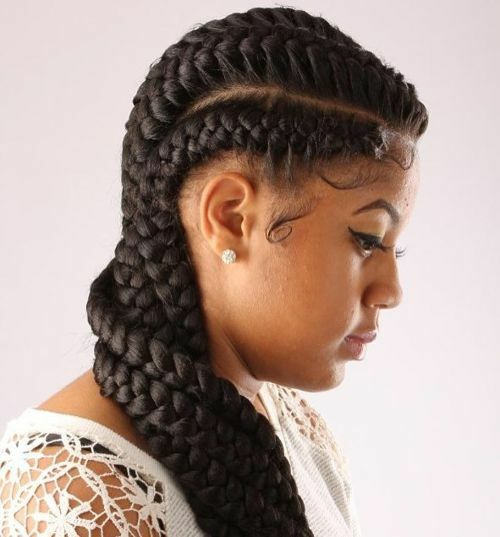 Similar to classic cornrows but much bigger and chunkier, these thick plaits can be worn piled on top of the head or as a stunning addition to loose, long hair. Many of our favorite celebrities have been seen sporting this godly hairstyle; from Zendaya to Janet Jackson and, of course, Beyoncé herself. The best thing about this look is that it is incredibly easy to live with and low maintenance. 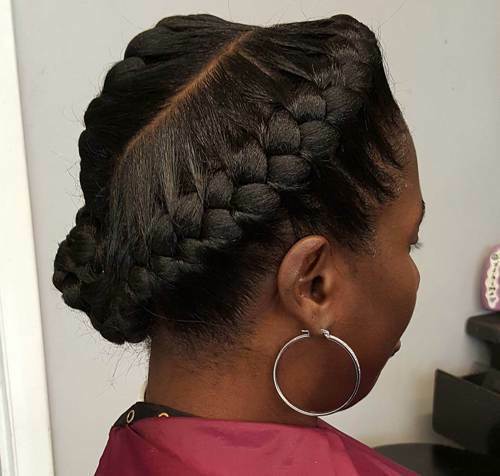 Goddess braids can stay in place for weeks or even months, giving your hair plenty of rest from harmful treatments and styling methods. 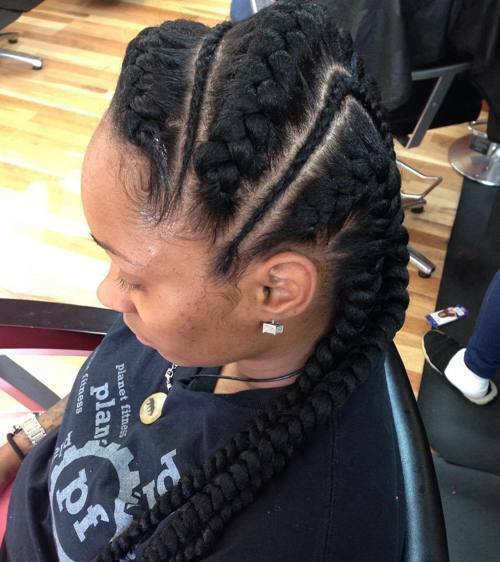 Each of these thick, chunky cornrows has been styled in a swirling, diagonal style. These goddess braids meet at the nape of the neck and become long, monochrome braids with some stylish white ombre thrown into the mix. 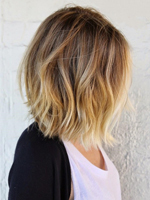 This hairstyle is ideal as it allows you to enjoy long, free flowing locks while still keeping it manageable and away from the face. That crown-like goddess braid really is fit for a queen and adds some serious structure to an otherwise carefree style. 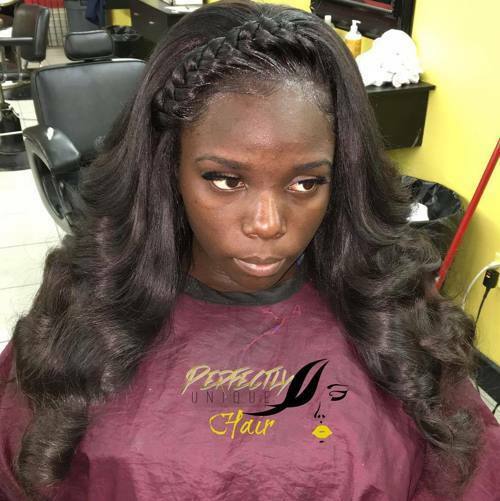 Looking for way to add pizzazz to your relaxed and wavy ponytail? Goddess braids tied in a halo shape at the crown of the head do exactly that. This style is easy to recreate, just leave some sections at the front to braid, tie the rest into a super laid back ponytail and you’ll be good to go. 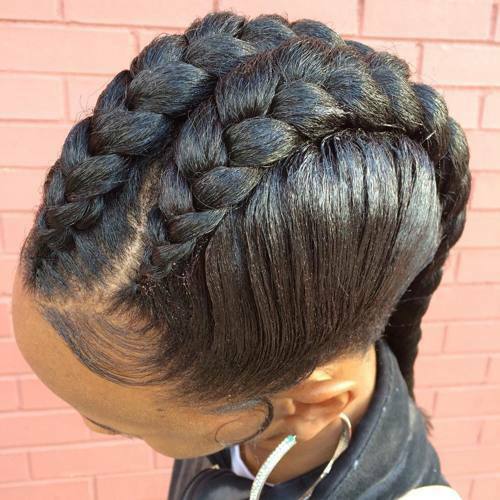 We just can’t get enough of the contrast between thick and thin braids in slick hairdo. The great thing about this style of goddess braid is that it can be worn casually during the day or to a glamorous night out. Don’t make the mistake of thinking that you have to choose between wearing all of your hair in braids and showing off gorgeously long length. 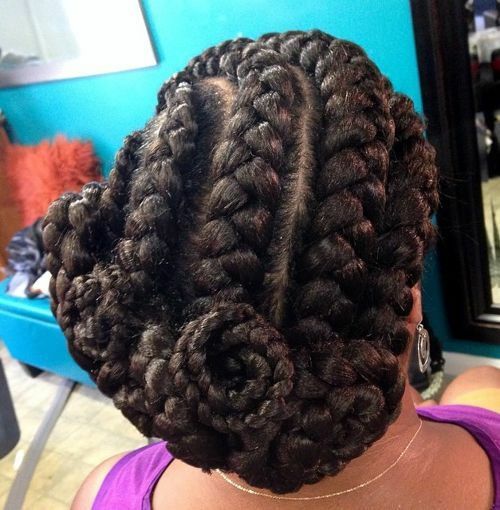 These chunky goddess braids snake and twist all the way down and can be adapted into a number of different styles. 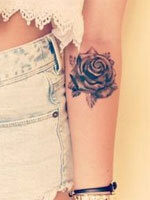 The look is polished off perfectly by cute kiss curls around the edges. Unsure of exactly how to style your long goddess braids? This high up-do really is the best of both worlds. It allows you to flaunt your creative side with an elaborate, twisting hairstyle but is also incredibly easy and won’t take long to achieve. Channel your inner Dorothy Dandridge by trying out this retro chic up-do for yourself. 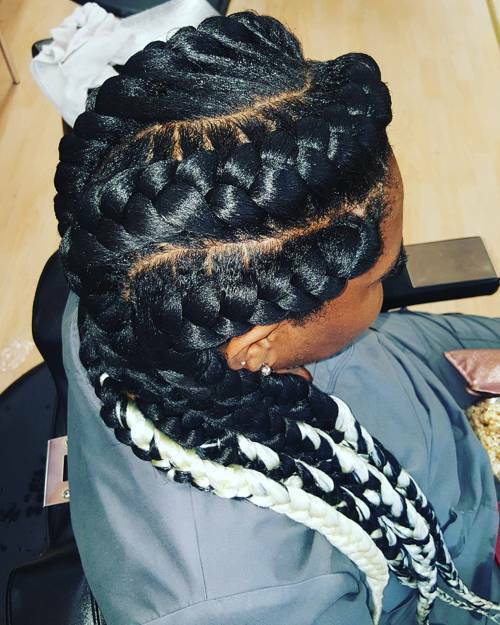 It might take a bit of time and effort (or a talented hair stylist) to get your braids as perfect as these, but we’re sure you’ll find this beautiful and convenient classic style is well worth it. 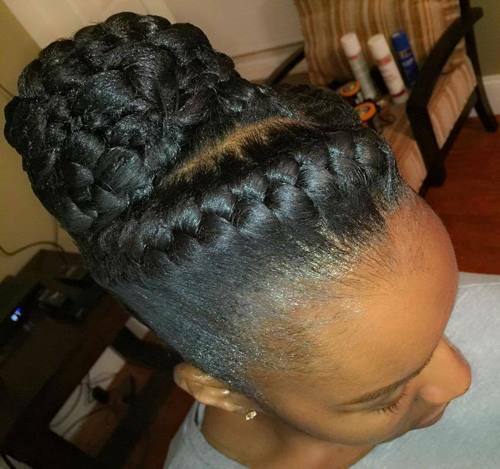 Another wonderful way to style your goddess braids is this bun. 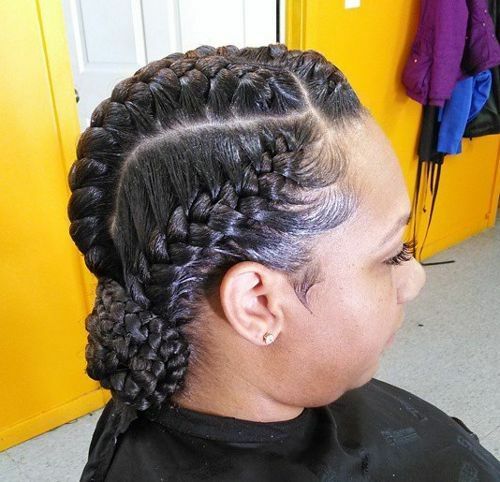 Oversized cornrows have been braided into perfectly neat and orderly rows, without a single hair out of place. These rows meet down at the nape of the neck in a sweet, twisty bun. 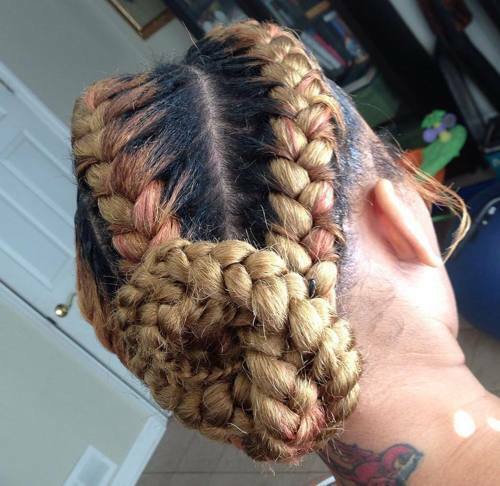 Here is an even bigger, but equally beautiful, example of how well buns and goddess braids go together. A small amount of super thick braids have been looped around into one giant coil which looks absolutely stunning. Goddess braids are beautiful and eye catching enough as they are, but for an extra touch of drama, why not add a stunningly bold shade to your braids? This cherry red hue is striking yet classy, and complements the model’s brown skin tone perfectly. Every one of the braids in this jaw-dropping look has been intricately coiled around to create a swirling, spirally effect. 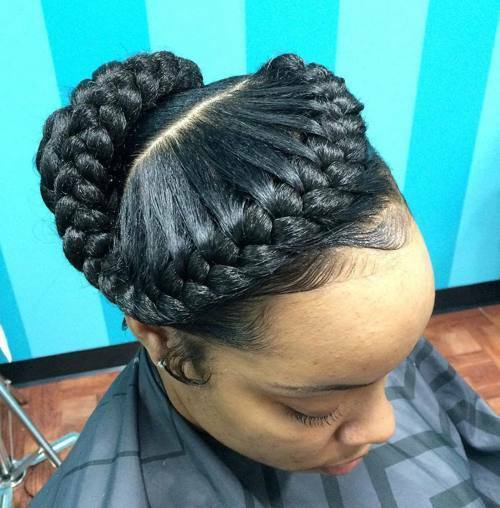 It’s up-dos like this that really show off how goddess braids earned their name. 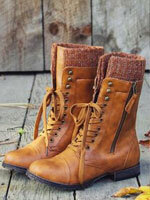 Intricate braids have been slicked back and piled high into a towering bun which really would be fit for a queen. 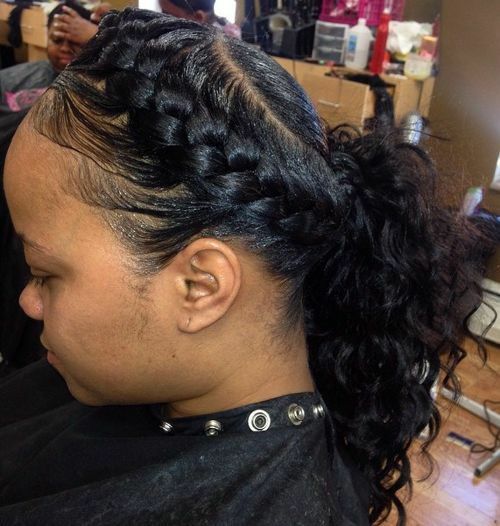 You can show off just how beautiful your glossy black braids are by styling them up into an elaborate style like this. 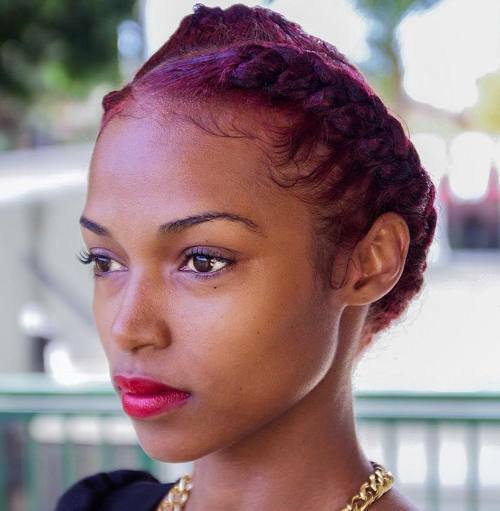 This model’s hair has been braided from the front, back and sides and meets in the middle in the form of a tall, stacked bun. 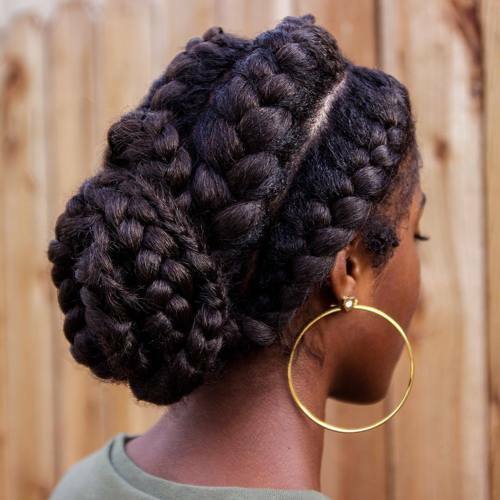 If you’re looking to experiment with the colors in your goddess braids, these shades are a great place to start. 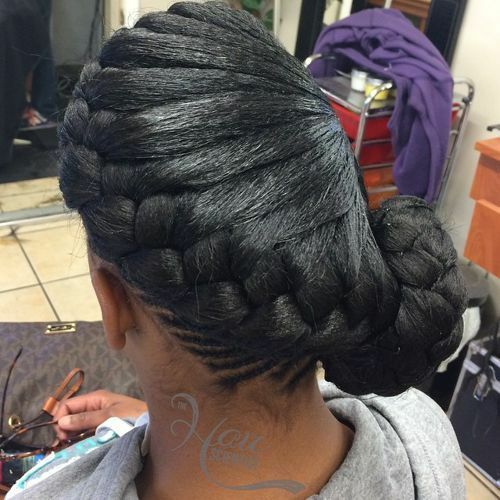 It’s hard to imagine two more soft and feminine hair colors than blonde and pink, together with the model’s naturally black locks, they go beautifully with this braided bun. This side bun is all about the dramatic angles. You’ll need to start braiding deep on one side and sculpt the hair into a diagonal shape to recreate this look. If you’ve got a special event coming up and intend on really standing out, then this is the hairstyle for you. The hair has been sculpted into a stunning shape, with each side showing off something totally different. Show off your regal side by having your hair styled into this crown braid. Snaking from the front into an elegant bun at the back, this is a truly flattering look. 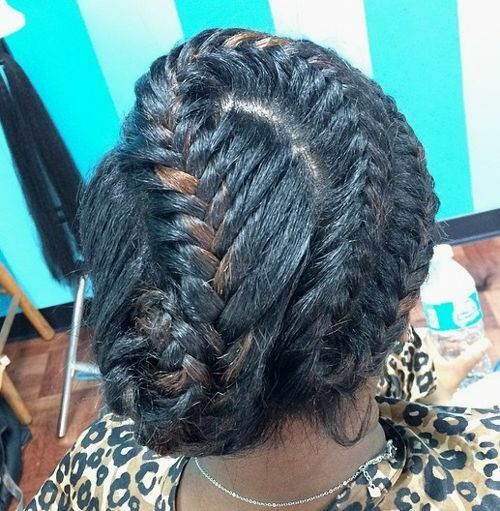 Goddess braids can be used to create just about any kind of shape and structure into your hair. 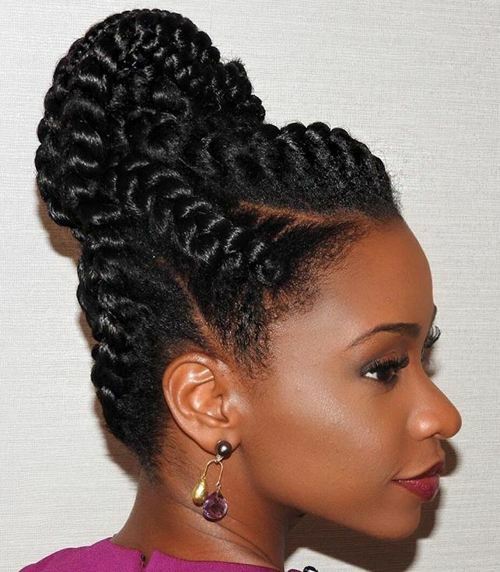 Thick braids down the centre of the crown like this give off a cool, fashionable Mohawk effect. 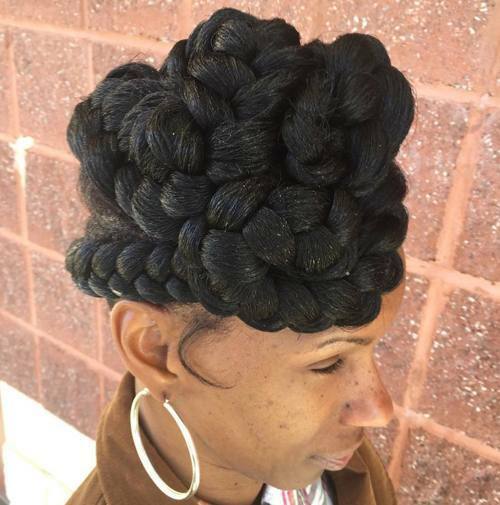 There is not just one way to wear your goddess braids. This quirky up-do is a great example of just how versatile this style really is. These braids have been done in a fishtail style up-do and finished off with a very subtle touch of golden ombre. 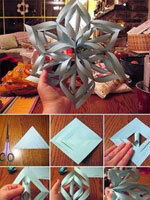 It’s hard to imagine a hairstyle that’s more convenient and pretty as this one. The sleek, snaking braid will stay in your hair for a long time and is, of course, amazingly easy to manage.